Change has come to the Posh Puppy Boutique’s website: we have a stylish new look that reflects the thousands of stylish products we sell. Finding the perfect size for your pet is now easier than ever. Just click on our handy size chart at the top of our site and learn how to ensure your favorite four-legged friend’s fit is fantastic, regardless of their shape. · Posh Puppy Originals with special creations found nowhere else. An example is this stunning teal Bark Jacobs Tutu Dress With Rhinestones ($75) in sizes from extra small to extra large. Lined with black dot satin ribbon and ribbon at the waist and on the chest, a parfum bottle is lined with Swarovski crystals so it sparkles at every step. · Central Bark Couture, home of the Ribbon of Love Gown ($125) shown in “Beverly Hills Chihuahua 3: Viva la Fiesta!” In sizes from extra small to medium, this 100 percent silk dress is simple and elegant. It’s perfect for any formal or special occasion. · Chrome Bones makes many products, including a great line of fancy collars. The Bling Bones Crystal Collar Cognac ($180) in small only is leather backed and has a patent croco design. It features 240 hand-set Swarovski crystals. · Doggie Showgirls is a new line for the Posh Puppy. If you’re considering a new doggie dress for Valentine’s Day, check out this Red Romance Dress ($65). In sizes from double extra small to medium, it is made with red satin and organza stripe fabric with gold accents and trimmed with gold “doggie safe” rhinestones. · Gidget Gear is all about a tropical state of mind. Take for example this Khaki Tiki Shirt ($42) in sizes from double extra small to large. Made with a cotton and rayon blend, it has that Hawaiian look, complete with shell buttons. Susan Lanci is one of our most popular designers. 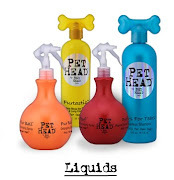 · Hip Doggie makes many very stylish products. A prime Valentine’s Day example is this Pink Heart Collar ($30). This soft faux leather collar has a unique shape and is lined with studs and highlighted with three metal hearts. Sizes range from extra small to extra large. A matching lead is available for $45. · L’Izzura is where you will find this Rhonda Faux Fur Coat ($105), which comes in sizes from extra small to double extra large. The patchwork design of this 100 percent polyester coat makes it simply stunning. · Mochi and Jolie makes this pink Love Gigi Knitwear Sweater ($80) made from a rapidly renewable resource: 100 percent bamboo. It’s cool and silky smooth to the touch while also having antibacterial properties. Sizes range from extra small to large. These are just a few of our many designers. If you haven’t visited our site, come take a look and be pleasantly surprised. 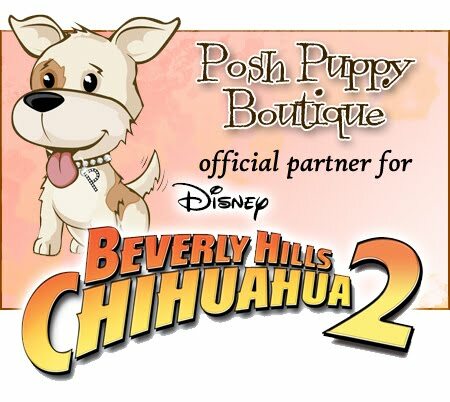 These and thousands of other pet outfits, grooming products, toys, beds and accessories for your pampered posh pup—or couture cat—can be found in one spot: the Posh Puppy Boutique. Call us at 888-837-5230 with any questions. Be sure to follow us on Facebook.